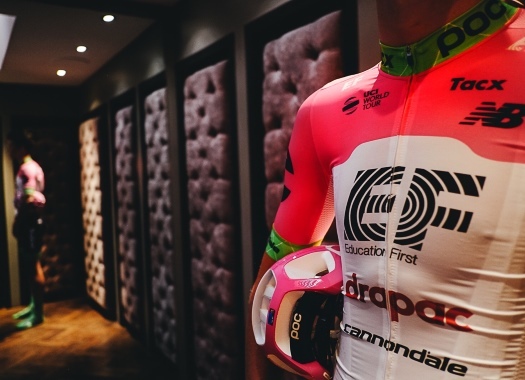 EF Education First-Drapac will be led by Sep Vanmarcke in the Spring Classics opening weekend of Omloop Het Nieuwsblad and Kuurne-Brussels-Kuurne. The weekend will start with the Omloop and its new finale that features the climbs of the Muur van Geraardsbergen and Bosberg. "Omloop is the first important race of the season and the first time on cobbles. The atmosphere is great, and everybody wants to be good. It’s hard, full-gas racing," said the rider. "In Valencia and Ruta, the team was riding perfectly together. "To me, it feels very different from last year. We were in Spain with a part of the classics team, so we are already used to each other. Others, like Mitch Docker and Tom Scully, I haven’t raced with this year, but they will fit in the system because they are real team players." For Sports Director Andreas Killer, these races are also an opportunity to check the shape of the team ahead of the rest of the spring season. "This year’s edition of Omloop shows us a totally new parcours, which is similar to older versions of the Tour of Flanders," he commented. "Obviously, it is a very hard race with most of the difficulties you could possibly find in that area. For us, it is a good indicator to see if our riders did their homework during the off-season, and already now we should be able to see if we are competitive for the upcoming northern classics during March and April."